Los Angeles Kings defenceman Willie Mitchell was born and raised in Port McNeill, B.C., a small town in the North Island region of Vancouver Island, with a population of 2,623. The logging community is very tightly knit, which made Willie Mitchell’s latest moment back home difficult to plan and execute without word getting out. On Thursday, November 8th, Mitchell completely surprised five levels of minor hockey players in Port McNeill by showing up unannounced to the Chilton Regional Arena to spend a full evening with them on and off the ice. They skated, played a few scrimmages, and then Mitchell ordered pizzas so the kids could hang out with him and ask him questions in a casual setting. Mitchell took the time with the kids to discuss the importance of concussion protection. Having recovered from a concussion himself, Mitchell explained why he made the switch to an M11 helmet and how it is more specialized than typical foam-lined models. “In my town, a lot of people use old equipment because they can’t afford new equipment. Some kids can’t afford any at all,” he explains. For that reason, Mitchell (in part with Cascade) also donated 33 M11 helmets to the Port McNeill Minor Hockey Club atoms team. Mitchell, whose number also happens to be 33, was the first player to win the Cup wearing the M11 model, which was originally designed by Mark Messier. Dedicating his time to children in Port McNeill is something Mitchell cares about deeply. On a regular basis, Mitchell also donates game-used equipment to auction off to raise funds for his former minor hockey team, the Port McNeill Minor Hockey Club and the North Island Eagles. Mitchell gives back to local minor hockey teams, but his efforts don’t end at hockey. Mitchell gives his time to initiatives like raising scholarship funds too, because he believes in supporting children to reach their goals - no matter what those goals may be. 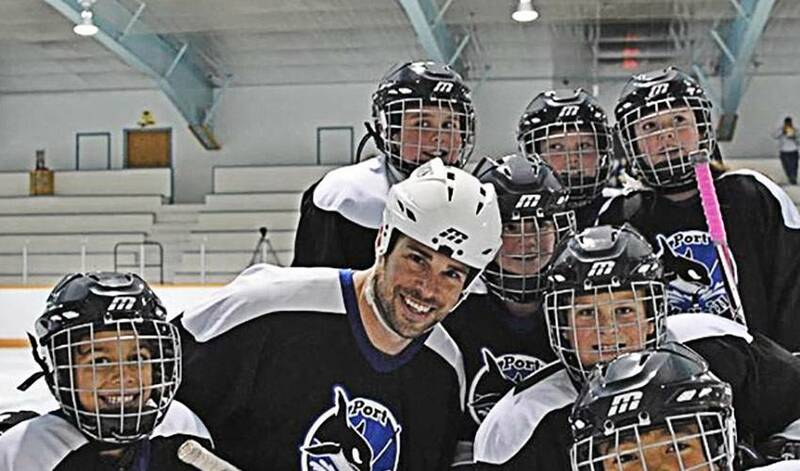 In 2004, Mitchell created the Willie Mitchell Classic, a celebrity golf tournament to raise scholarship money for teens in Port McNeill. "Small town doesn't have to mean small dreams."